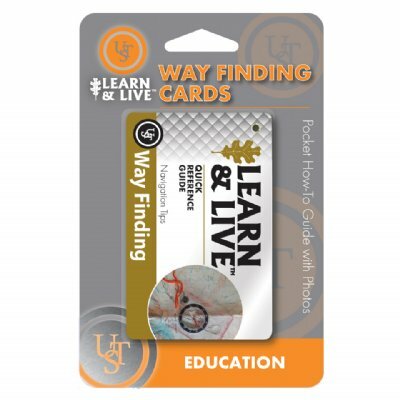 Part of the learn and live card collection, these way finding cards are a convenient and fun learning tool that provide how-to instructions on various methods of orienting yourself in the outdoors. Each card outlines a variety of compasses and navigation basics. Includes ten informative cards covering topics such as types of compasses and plotting a course with a map. All cards are waterproof and attached with a grommet.